We have a winner! The NPA’s spring banner competition attracted more than 200 entries, largely via the Great British Pork Facebook page. That was whittled down to a shortlist by NPA staff, before going to a vote among the NPA Producer Group when it met in London on Tuesday. Congratulations to Rebecca MacBain, from Preston, Lancashire, who came up with the snappy slogan and, for her troubles, wins a hamper worth £100 from NPA chairman Richard Lister’s farm shop. "Absolutely Brilliant. Thank-you very much," was her response on hearing the news. 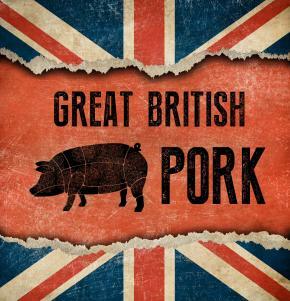 Rebecca's winning slogan will appear on car stickers and potentially on banners promoting the positive message about Great British Pork up and down the country. The NPA’s Andrea Vickers, who runs the Great British Pork social media pages, said: “We have had a phenomenal response to the competition. Thank-you to everyone who submitted entries - we had lots of excellent suggestions and some great messages of support for British pork.